Second language learners can have fun learning to speak and write English with the benefit of free online ESL games. At their most basic level, quizzes, tests, and games are all the same thing. They all test a user's ability to perform a particular task and provide a score that represents how well he or she did. The only difference between quizzes or tests and games is the stigma that society places on the words. Ask a group of people if they'd like to play a game and they usually will agree to it. However, asking someone if he or she would like to take a test might elicit a completely different response. For ESL students, games are particularly useful because they can make the daunting and tedious task of becoming fluent in English fun for awhile. While students play online games, they can get so caught up in the game itself they forget that they're taking classes and learning. If a teacher can capitalize on that kind of excitement and transfer it to the taking of a quiz or a test, academic success can follow. Students who succeed first at games eventually learn to understand that quizzes and tests are really just games. With this approach, they have a much greater chance of overcoming test anxiety and succeeding in their studies. ManyThings - This website is marketed as "interesting things for the ESL student" and it does not disappoint. Tongue twisters, spelling games, reading games, vocabulary games, and crossword puzzles are available. In addition, this site has information on slang words, jokes, podcasts, proverbs, and much more to keep students challenged and engaged. Mark's English School - Mark's English School hosts free online ESL games that will work in your browser without having to download anything to your computer. The games are designed specifically for ESL students and address aspects of vocabulary, grammar, and phonetics. Prepositions, verb tenses, short vowel sounds, and consonant sounds are all covered, as well as games that deal with American holidays and other cultural issues. A4ESL - Activities for ESL is a website that features games and puzzles designed to strengthen grammar and vocabulary. Quizzes are also included if you want to test what you learned playing games in a more traditional academic format. EnglishClub - The games at EnglishClub are specifically designed for the ESL student, and feature interesting versions of hangman, crossword puzzles, matching games, jumbled word games, and more. Shambles - This is another sizable directory of ESL games sites that you can browse at your leisure. Literacy games, ESL board games, reading snakes and ladders, phonics and word study games, online hangman, spelling games, Scrabble games, and more are available on this excellent website. Some of the sites listed above are geared more towards younger students, while others have a wider variety of content. Look around and see which games you find the most challenging and engaging. There is a certain negative assumption in education that learning difficult things must be, by nature, burdensome. While not everyone is going to love every aspect of learning, there are plenty of examples of ways in which learning can be made fun. Free online ESL games are one such option. It's important to embrace the enjoyable parts of learning at every chance possible. Fortunately, the technological revolution has made this easier than ever before. 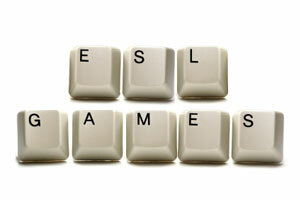 More ESL games appear on the Internet everyday, so make sure you revisit the above sites often to see what has changed. "Free Online ESL Games." YourDictionary, n.d. Web. 22 April 2019. <https://esl.yourdictionary.com/esl-for-students/Free-Online-ESL-Games.html>.